Hiring A Service To Do Commercial Lawn Maintenance - Metro Lawn Care, Inc.
Commercial lawn maintenance is extremely important when a business wishes to make a good impression to potential customers. A lawn full of dandelions will quickly become less than pleasing to the eye as these weeds will begin to crowd out lush, green grass. Ensuring the upkeep of the lawn is done in a timely manner will be of the utmost concern. Here are some of the steps a commercial landscaping service will take to ensure dandelions are extinguished, leaving a business property with a favorable appearance. It is important to remove the root portion of each dandelion present on a company property. If someone were to try to pick the weeds by hand, there is a risk of the stems breaking, leaving roots behind to grow again in no time. A landscaping service will use the proper tools to remove the entire root from each dandelion. In addition to the removal of dandelions, steps will be taken to help in keeping them from regrowing again in the future. 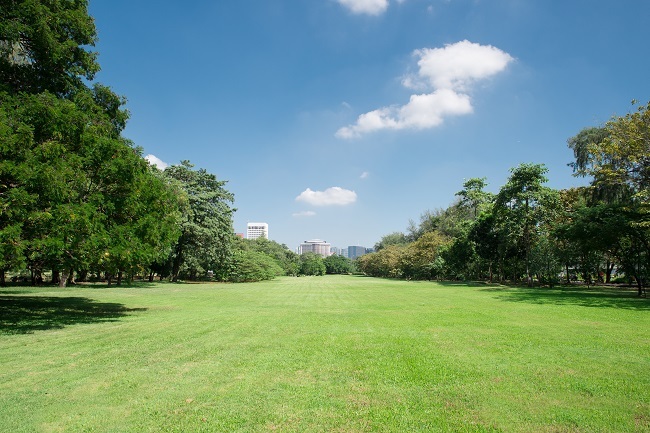 A lawn maintenance company will have a variety of weed inhibiting agents to select from to help in making conditions unfavorable for weed growth. If desired, organic measures can be taken in keeping these weeds from taking roots as well. Hiring a lawn service to do regular mowing of grass is the best way to keep dandelions from surfacing. A lawn that is cut to a length that allows for slight shading of the soil will block sunlight, which dandelions need to thrive. This will require more frequent cutting, however, the lawn will remain weed-free as a result. For more information on the services your business’ property deserves, contact us to speak to a lawn care specialist.